Savor the best Seafood while enjoying the panoramic views of False Bay. Try our traditional Lamb and Seafood curries, slow broiled Lamb shanks and Pan-fried steaks. 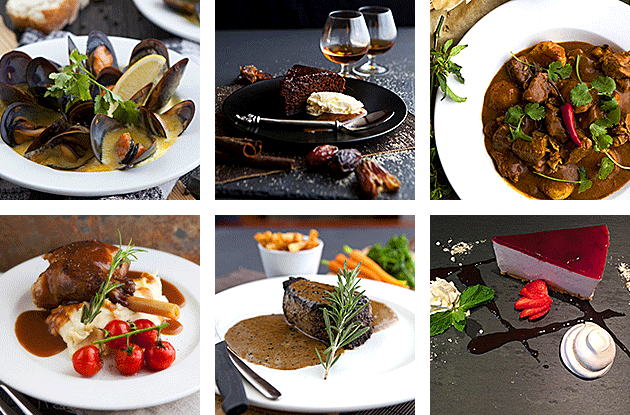 Renowned for our Grills, Ribs, T-bone's, Sirloin Steaks and the best flambéed Pepper Fillet in town! Choose one of our decadent desserts, either a light fruit or liqueur cheesecake of the day, a rich hot pudding or try our fabulous, moist chocolate cake; we have something for everyone. 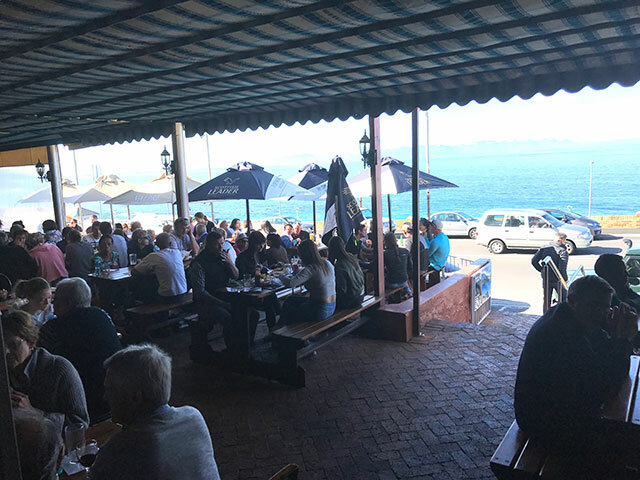 Dixies Restaurant is nestled on the beautiful False Bay coastline overlooking the panoramic views of the sea. It is approximately 45 minutes from Cape Town, and a two-minute drive from the historical town of Simon’s Town, en-route to Cape Point. Here, a combination of spectacular sea views, delicious seafood, pizza, grills and a wonderful, extensive South African wine list awaits our guests. The restaurant can seat 120 guests inside and 130 guests outside on the terrace overlooking the bay. Established in 1978 by Reinje Tuzee and his three sons; Ben, Jan, and Donny, this family-run restaurant has proudly been serving both local and international tourists for almost 40 years.